Looking for Los Angeles, California commercial insurance? EK Insurance makes it easy to get a CA small business insurance quote for general liability, commercial property, workers compensation & more. When seeking Los Angeles, California commercial Insurance for your business, it's important to understand the risks you face and discuss them with your broker. The work of a professional insurance broker is to present a quote proposal with the 'best fit' options. At the end of the day, it's you who has to make the final decision on the type of Los Angeles, California commercial insurance that will best meet your business needs. While you might only be interested in getting a single CA business insurance coverage for your company, it's important to understand what other types of Los Angeles, California commercial insurance coverages are available. This way, you'll have the necessary knowledge needed to choose the appropriate insurance coverages when you're faced with new business risks. Property Insurance: Property insurance covers the business property against theft, damage and/or destruction caused by a covered peril. Casualty Insurance: Casualty insurance primarily concerns liability from the losses caused by injuries to persons and damage to property of others. A business owners policy (BOP) combines business property and business liability insurance into one convenient package policy. So both property & casualty coverages are included. BOP's offer a bundle of useful coverages for small to medium sized businesses including; property insurance (for buildings and contents owned by the company) business interruption insurance (covers the loss of income resulting from a fire or other catastrophe that disrupts the business) and liability protection (which covers third party claims of bodily injury and property damage and more). There are also additional coverages that can be added to a BOP to meet the needs of a variety of small and medium sized businesses. Commercial property insurance protect businesses from damage to buildings and contents due to a covered losses like fire. The CA business property policy may also cover loss of income or the increase in expenses that results from the property damage that triggered the claim. Some of the most common commercial coverage lines include commercial property, Los Angeles, California landlord insurance, equipment breakdown, inland marine and commercial crime. CA commercial property insurance coverage is for the buildings you own or lease for business, your business personal property and other people's personal property within your business. Commercial property insurance is available for purchase either as an individual policy (monoline policy) or as part of the commercial package policy (CPP). The latter usually combines two or more commercial coverage parts like commercial property, commercial auto and general liability. Los Angeles, California Building Coverage: includes business buildings, structures or any other additions listed on the commercial policy's insurance page. Other items that can be part of the building coverage include machinery, permanently installed fixtures and equipment. The limit of insurance is arrived at by estimating the amount required to rebuild the building and/or replace any permanently installed fixtures, equipment and machinery in the event of a business experiences a total loss. Under the insurance policy, you're required to fully insure the value for your buildings relating to your business. In the event your building is not insured to value, the insurer can subject you to a monetary penalty when a loss occurs. This penalty is what is known as 'co-insurance'. Understanding the coinsurance clause under the commercial property policy is very critical. Be sure to read through the fine print and if necessary ask your broker-agent questions where you do not understand. Los Angeles, California Business Personal Property: usually includes machinery, furniture, fixtures and equipment that are not permanently installed, inventory and/or any other personal property owned and used by the business. Los Angeles, California Personal Property of Others: Refers to any property that's under your business' care, custody or control. 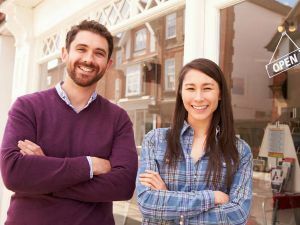 The need to protect other people's personal property against risk of damage or loss generally depends on the type of business you're running. Specified Perils: Usually consists of a list of specific perils that can be insured such as fire, explosions, vandalism and windstorms among others. You can choose to choose a policy that covers basic specified perils or opt for one that provides broad specific perils coverage. The broad specified type of coverage includes basic specified perils plus a host of other perils. Open Perils: Covers all the other losses that are except those specifically excluded. Some of the common perils that are excluded under the open perils coverage include earth movements or earthquakes and floods. Open coverage policy is usually more costly compared to specified perils as it provides more comprehensive protection. 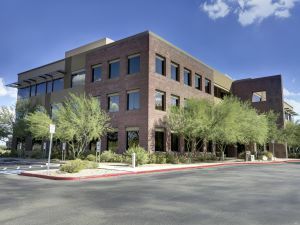 The Los Angeles, California commercial property insurance coverage includes a provision that determines the method of valuation to be used in making payments at a time of loss. The most common method used in valuation is the Actual Cash Value (ACV). Other property valuation methods available in the market include agreed value and replacement cost. Agreed value waives any co-insurance penalties and pays 100 percent of the stated amount (as agreed on the policy) for the covered loss. On the other hand, replacement cost defines the amount required to replace a damaged property with a new one-of the same kind and quality-up to the limits of the insurance. Replacement cost is subject to co-insurance, just like ACV. Builder's Risk: This coverage can be added to a policy-for a minimum term of one year- to cover new buildings or structures under construction or any existing structures that are undergoing additions, repairs or alterations. Cancellation is only allowed upon the completion of the project. Any midterm cancellation will result in short-rate penalty. A renovations form or construction reporting form allows insurance coverage to be carried out as per the stage of completion. For instance, as the project is completed in different phases, more value is reported, prompting the insurer to provide proper amount of coverage on each specific phase. Legal Liability and/or Fire Legal Liability: This coverage covers legal liability for any loss or damage relating to real and personal property of others as a result of your business's negligent acts and/or omissions. However, the loss covered must be accidental and mostly purchased to cover tenants using commercial buildings. Building Ordinance or Law: Provides cover in the event the enforcement of any building, zoning and/or land use results in the loss of undamaged portion of a building (relates to coverage A). Coverage B covers demolition and removal costs of all undamaged parts of a building or structure while coverage C takes care of any increased cost of repairs and/or reconstruction. For coverage C to be applied, the replacement costs must be in effect. Improvements and Betterments: Usually purchased by a lien holder, this option provides cover against all the permanently installed improvements and the betterments that cannot be removed when a tenant vacates the building. Glass: Falling under specified perils, glass coverage includes protection against damage to other property resulting from broken glass due to vandalism as well as vandalism of glass building blocks. The broad and specified perils can cover $100 per pane of glass and can go up to $500 per loss occurrence. A glass form must be added in processing scheduled glass coverage when a significant exposure to glass has been identified. The glass form requires you to supply such information as the number of panes, dimensions, lettering, location and ornamentation. The insurance schedule may include also include a separate a separate glass deductible. Peak Season: This is a form of endorsement that provides additional limits on the insured personal property inventory for a specified period of time. This is mostly used to cover the fluctuating inventory values before and during peak shopping or business seasons. Inflation Guard: This endorsement specifically adjusts the limits of insurance to keep up with the rate or level of inflation. The adjustment can be calculated based on the construction cost index in a given region or by assigning a specified percentage per year. The endorsement can help you maintain adequate coverage limits, which can be critical in protecting you against potential co-insurance penalties in the event of property loss. The Time Element: This is a form of insurance that covers other losses that can arise from a direct loss that falls under a covered peril on the business property. Some of the common time element coverage includes business interruption, loss of rent and rental value and extra expenses. The business interruption coverage is basically meant to replace lost business income after the occurrence of a covered loss. 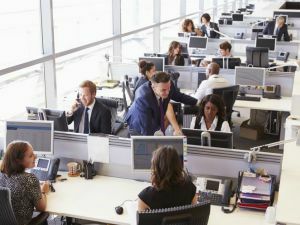 Under this coverage, certain company employees can be named and be entitled to their salaries until the business resumes operation after a loss. The extra expense coverage is mostly added by product or service related companies, whose survival depends on continuous operation. This form of coverage can pay for office space, rental equipment, advertising and any other reasonable costs needed to keep the company operating after the occurrence of a covered loss. Loss of rents and rental value mainly covers any loss of rental income experienced by the property owner either by damage or destruction of the commercial building, rendering it unfit or unsafe for occupancy. Judging by its name, most people might assume inland marine to be associated with transportation by ships. But that's not the case though. Inland marine insurance covers a range of transportation exposures but does not include boating transportation (covered under ocean marine insurance). Commercial inland marine insurance primarily covers damage to or destruction of business property during transportation. The policy also provides protection against any liability exposure relating to damage or destruction of property under your care, custody or control during transportation. Causes of Loss That Can Be Covered - Common perils that may be covered include fire, flood, lightning, windstorm, landslide and theft. Other perils that can be included under this insurance are collision, derailment, bridge collapse and overturn of a transporting vehicle. 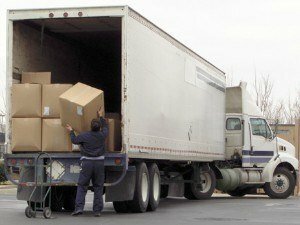 Coverage Forms and Specialty Coverage - With inland marine insurance, you can cover a range of potential transportation risks with greater flexibility. The insurance can offer different types of coverage like accounts receivable insurance, equipment floaters (contractor's equipment), consignment insurance, motor truck cargo insurance, valuable papers insurance and trip transit insurance. Previously known as Boiler and Machinery insurance, equipment breakdown insurance is marketed under different names like 'systems breakdown', 'machinery breakdown' and 'systems protector' insurance. Equipment breakdown insurance provides coverage for business property, other property losses and any legal fees that may result from damage or malfunction of machinery. 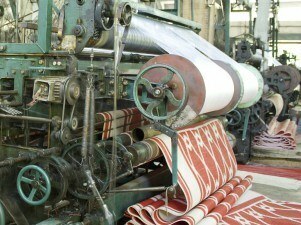 Equipment coverage covers different types of machines used in retail business, offices and/or manufacturing settings. The machinery coverage may also include machinery systems used in commercial buildings such as air conditioning, ventilating and heating systems. Most of commercial property policies in the market usually exclude losses of boilers and machinery. 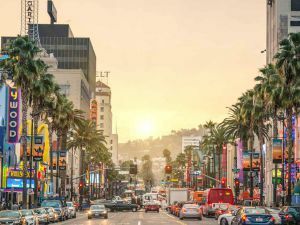 Los Angeles, California crime insurance coverage provides protection against damage or destruction of business assets like merchandise for sale, money and securities as well as real business property. This coverage squarely falls under property insurance line. CA business crime coverage can cover such causes of loss as robbery, burglary, forgery, embezzlement and larceny. 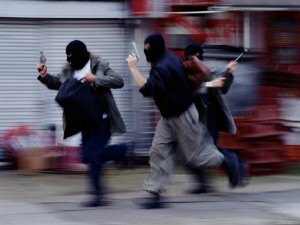 Specialty coverage can be added to crime insurance based on the unique needs and exposures to loss such as mercantile robbery insurance, burglary insurance, mercantile open-stock and safe burglary insurance. Other parts that can be included in specialty coverage include money and securities broad from, storekeeper's burglary and robbery and office burglary and robbery insurance. Liability insurance coverage is usually comprehensive in nature. A typical policy (insurance agreement) details all hazards that fall within the scope of insuring agreement, which are not otherwise excluded from the coverage. It is also comprehensive because it provides automatic coverage even when you move to a new location or engage in new business activities, which come just after policy inception and/or throughout the agreed policy term. 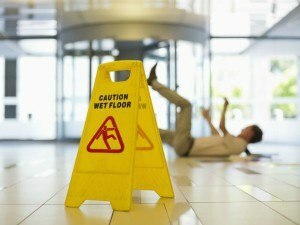 Premises Liability - The Premises Liability option covers liability for property damage or accidental injury arising from either the condition of your premises or from the ongoing operations (on or near your premises). Products Liability - A product's liability hazard may exist when a business is involved in manufacturing, selling, handling or distributing certain goods and/or products. The hazard here is simply the potential liability for body injury or property damage arising from dealing with the good/products - for the life of the product's existence. Completed-Operations Liability: - Completed operations mainly cover potential liability for either body injury or property damage arising from completed work. Some of the hazards excluded from the commercial general liability policy coverage include; intentional injury, worker's compensation & employer's liability, liquor liability, insured contracts, aircraft, watercraft, automobile and mobile equipment. Other things not included in the policy are war, damage to your work, sistership liability, care custody and control as well as failure to perform. Be sure to carefully read through the policy coverage exclusions and limitations. A general liability policy is usually determined based on the type of business you're running. Ideally, the insurers assign a specific code or codes depending on the exposures that are common to your specific type of business operations. General liability class codes are groups of numbers that insurance companies use to classify businesses into categories of risk, to aid them in assigning the appropriate rate, coverages, and exclusions for GL insurance. Your risk classification basically determines the premium and consequently the rating formula. The CGL insurance policy assigns different limits for general liability, products & completed operations liability, fire liability, medical payments claims as well advertising and personal liability. Should the total claims for all these areas exceed the stated annual aggregate liability limit, all your policy limits will be exhausted and thus you'll not receive any payment claims for the remaining policy duration. A separate aggregate limit of liability is also assigned to claims relating products and completed operations liability. Worker's compensation insurance is a type of coverage that protects employees against any work-related injuries or illnesses. The benefits enjoyed from this type of coverage will depend on the type of illness of injury sustained by the worker. The workers compensation policy works on a no-fault system, meaning for the affected employee to receive on-the-job injury benefits, he or she does not necessarily need to prove that the injury or illness was caused by someone else's fault. Los Angeles, California requires workers comp for any non-owner or partner employees. Licensed insurance companies will always provide clear workers compensation policy clauses, terms and conditions. In the first part of this policy, the insurer or insurance company agrees to pay all benefits and compensation to an injured or ill CA worker as per the statutory workers comp laws of the states as listed in the policy declaration page. In part two, 'Employer's Liability Insurance', the policy protects against situations where employees can sue the employer for injuries suffered under the common law liability. Some of the injuries covered under common law liability and not in workers compensation include consequential bodily injury, dual capacity and loss of consortium and/or over actions of third party. The CA workers compensation law does not recognize any of these injuries and they're not covered under part one of the Workers Compensation Policy. Los Angeles, California commercial automobile coverage is meant to protect companies against any liability that can arise from use of a business vehicle or damage to the covered commercial autos. The Business Auto Policy, under the commercial automobile insurance, is very flexible and can provide a number of covers including business, personal, hired and non-owned autos. The policy is mostly based on the coverage purchased and applies to each scheduled auto. That basically means automobiles can be scheduled separately but along with the corresponding auto coverage(s). Coverages can differ based on the type of vehicle and a given symbol or multiple symbols can be used to designate the coverage that's assigned to a scheduled auto. Commonly referred to as auto symbols, these unique symbols usually use a simple numerical system (covering numbers 1-13). Classification of CA automobiles is done by assessing the weight (either light, medium, heavy or extra-heavy) and type of use (either private passenger, commercial or service). One of the outstanding differences between personal auto policies and commercial ones is in the damage limits. While the former separates bodily injury and property damage and puts different limits on each, the latter offers a Combined Single Limit (CSL) that covers every both liability and property damage. That makes Los Angeles, California Commercial Insurance coverage limits higher (including the per occurrence limits). A typical commercial automobile CSL can range between $500,000 and $1,000,000 per accident. 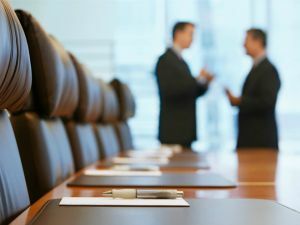 Also know as D&O, this coverage is intended to protect board members against allegations of wrongdoing that can happen from their roles in the running and management of a business - both for an not for profit. CA directors and officers insurance protects corporate directors and officers if they are personally sued, typically in addition to the company being sued, by investors, employees, vendors, competitors, and customers, among other parties. The insurance protects them by covering legal fees, settlements, and other costs. In the the non-profit version of D&O insurance, directors, officers, committee members, employees, and sometimes volunteers acting at the direction of the association are all insured under the policy. The association is also insured in coverage called 'entity coverage'. Also know as EPLI, this insurance covers businesses against claims by CA employees that their legal rights have been violated while working at a company. Employers can face a number of claims and lawsuits over wrongful termination, discrimination, workplace harassment and retaliation. And a business owner doesn't even have to have done something wrong to be sued. And legal fees are expensive. As a business, small or large, you are at risk for an employment claim from the second you start an interview a prospective employee. For example, if you choose not to hire the person that individual could allege some sort of discrimination. Or if you hire that person and later fire them due to poor attendance, that discharged employee could claim wrongful termination. 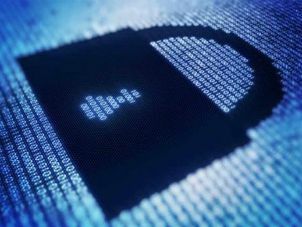 Data breach insurance (also know as cyber liability) helps businesses to cover the costs of a data security breach. Breach notification to customers, credit card monitoring services, the costs for a public relations consultant to help restore your reputation, consulting and forensic fees to identify and resolve the cause of a data breach and defense and settlement costs if you are sued for alleged failure to prevent unauthorized use of or access to customer personal information. The consequence of making liability claims above the set aggregate limit liability is exhausted policy limits. 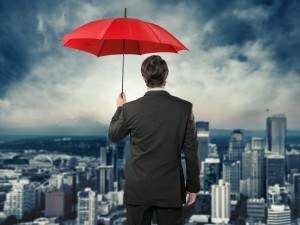 The commercial umbrella policy simply seeks to protect your business from any judgment arising from excess liability. This coverage covers the amount of loss that's above the limits set in the basic liability policy. Some of the policies that can be covered by commercial umbrella include CGL, commercial automobile and any other liability policy that can be placed under commercial umbrella. You have the proper underlying policy. That underlying policy's limits have been reached. The insured property-owners were partners who purchased and operated several multiple-unit apartment complexes, which they had protected with a commercial property policy. The insured purchased an additional apartment complex and almost one month after purchase; the insured asked the broker on the policy to add coverage for the new complex. The request also asked for the coverage to be backdated to the date of purchase. Almost two months later, but still barely within the 90-day newly acquired property clause, the agent requested the complex to be added to the policy. The insurer responded by stating that coverage would not be backdated as additional information was needed and until received, a quotation would not be provided and if quoted, would be based upon its own merits and the existing rate would not be used, further, coverage would be subject to an inspection. The broker responded by providing partial information and requesting confirmation of coverage. The insurer repeated its original response and requested the remainder of the information. The broker never responded, nor did the insurer bill for coverage. About five months later a fire occurred to the apartment complex, seriously damaging it. The insured filed a claim with the property insurer who in turn, denied coverage. The insured then filed a suit against the insurer and the broker alleging breach of contract, negligence, and breach of fiduciary duty, among other things. The broker also filed a cross-suit against the insurer. The trial court ruled in favor of the insurer on both the original suit and the cross-suit. The trial court ruled that the 90-day property coverage extension had expired almost four months prior to the loss and the insurer had never affirmed permanent coverage. Upon appeal, the decision of the lower court was affirmed in favor of the insurer. A bus owned by the Los Angeles County Metropolitan Transportation Authority (LACMTA) was totaled after it was hit in it rear by a semi-tractor trailer driven by Gurmukh Garcha. Garcha owned the tractor under a partnership named Blue Star Transportation. While the tractor was not insured, the semi-trailer was covered by a policy issued to Sahota Trucking (the trailer's owner) by John Deere Insurance Company. At the time of the accident, Blue Star was arranging to buy Sahota Trucking's trailer. However Blue Star did not hold the trailer's title. Sahota still had the title, awaiting a final payment before transferring ownership. The commercial auto policy covering the trailer contained, by federal mandate, an MCS-90 endorsement. John Deere considered the loss to be a non-covered situation. The trailer, though still owned by its insured, Sahota, was not listed on their policy. Further, it was operated and used by a company (Blue Star) that was not listed as an insured. Therefore, the owned, non-listed property did not, per the policy terms, qualify for coverage. Deere filed a motion for summary judgment that no coverage obligation existed. The district (trial) court, relying on a separate higher court case, was persuaded by Deere's argument and granted coverage in their favor. Sahota appealed. The appeals court did not have the same view as the lower court. In its opinion, the court case cited by the district court, though having to do with the MCS-90 endorsement, dealt with a different issue and was not relevant to the case at hand. The higher court, after examining the pertinent part of the endorsement, felt that coverage was for the accident involving Blue Star's operation of the Sahota trailer was created under the form. 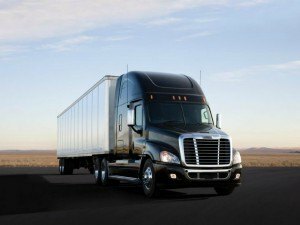 It held that the ICC endorsement's intent was to make sure that an authorized interstate transporter was in position to handle the financial consequences of loss or injury it might cause to the public. The loss details appear to support the reason for the endorsement, coverage for a non-listed vehicle that has injured public persons and property. The lower court decision was reversed and the case returned (remanded) to the lower court for a new hearing reflecting the decision that the Deere policy is obligated to respond to the loss. Request a California Insurance quote by city in Anaheim, Bakersfield, Chula Vista, Concord, Corona, Elk Grove, Escondido, Fontana, Fremont, Fresno, Fullerton, Garden Grove, Glendale, Hayward, Huntington Beach, Irvine, Lancaster, Long Beach, Los Angeles, Modesto, Moreno Valley, Oakland, Oceanside, Ontario, Orange, Oxnard, Palmdale, Pasadena, Pomona, Rancho Cucamonga, Riverside, Roseville, Sacramento, Salinas, San Bernardino, San Diego, San Francisco, San Jose, Santa Ana, Santa Clara, Santa Clarita, Santa Rosa, Simi Valley, Stockton, Sunnyvale, Thousand Oaks, Torrance, Vallejo, Victorville, Visalia and all other cities in CA. The CA Dept. of Insurance is the regulatory agency behind the insurance rules for the state of California. If you want to understand these rules, then this is definitely the agency that you need to focus on. Let's start with limits within the state. 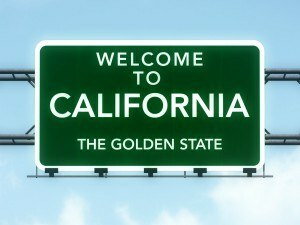 For auto insurance, California requires $15,000 per person and $30,000 per accident. For life insurance, there are certain regulations in place to determine how someone is able to get or offer life insurance, but there are no limits listed. For commercial insurance, insurance agents may offer broker or casualty insurance as well as covered property insurance, covered causes of loss, specified perils and open perils along with a number of coverage forms like builder's risk, legal liability, building ordinance, glass, peak season, inflation guard and peak element. As for regular insurance regulations there are a lot of things that California provides that you can look up. For example, there are deadlines for the insurer to pay the claim or deny it, deadlines for submitting paperwork to prove a loss for insurance reimbursement, specific information your insurance company is required to give you and regulations on what information you have to provide to your insurance company. One of the California regulations calls for you to be treated by your insurance company in good faith. This means that your insurer must be considered of your needs and must communicate completely and honestly with you about your policy and everything that you need to know about it in order to make a good decision. In turn, you are legally obligated to be honest and cooperative with your insurance company when it comes to your claim. You should also be aware that your insurance company is required to offer prompt, honest and complete communications. The company and all of its representatives must respond to your communications within 15 calendar days with a complete response based upon the facts that are known. Finally, be aware that your insurance company is required to have a fair claims process. Unless it is specified in your policy, you do not have to use the forms that are provided to you by your insurance provider in order to make a claim. You can create a list of losses on your own if you need to. In addition, insurers are not able to ask for unreasonable proof of loss. If you provide photographic evidence or video of items that you lost, insurers are not able to ask you to provide additional information. If you are looking for state specific Commercial insurance quotes, costs and information: California Commercial Insurance, Colordo Commercial Insurance, Delaware Commercial Insurance, Florida Commercial Insurance, Illinois Commercial Insurance, Kentucky Commercial Insurance, New Jersey Commercial Insurance, New York Commercial Insurance, Oregon Commercial Insurance, Pennsylvania Commercial Insurance, Texas Commercial Insurance, Washington Commercial Insurance. Want A Business Insurance Quote? Contact EK Insurance to find out how much commercial insurance costs.